I've been trying to dig up some information on my ancestors and their activities during the First World War. However in doing this I think I've finally solved a mystery over a 100 year old photograph I've had for a while of a bunch of football players. I had thought they were a British team, from Cranbrock, but I was mistaken. My great grandfather, Charles Climie, was born in Kilmarnock in 1884, the son of a bonnet weaver and a coal miner. In the above photograph he is standing in the back row, second from the right. His brother Robert is 16 years older than him, third from the left in the front row. On his left is my great-great grandfather, Robert Climie, an ex-colliery fireman, born in Kilmarnock in 1843. Charles as a foundry worker in Kilmarnock and then later as a shipyard worker in Govan, Glasgow, was in a reserved occupation and thus exempted from military service. He was the second youngest of seven brothers and four sisters. I had been trying to find out about his nephew, Robert Climie, who was aged 24 at the outbreak of war. In 1917 he was imprisoned as a conscientious objector. 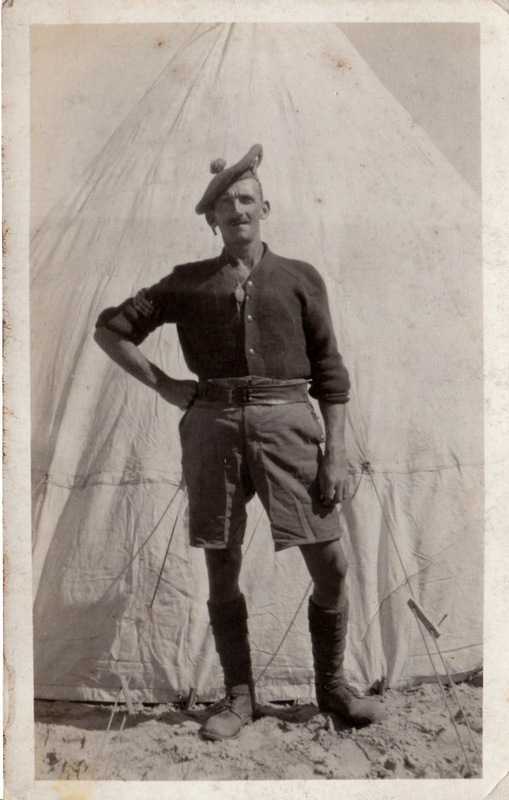 His father (also Robert Climie) trained as an engineer and as a young man had been a sergeant in the Volunteer Brigade of the Royal Scots Fusiliers. He soon became a socialist, joined the fledgling Independent Labour Party and was involved in opposition the Boer War. 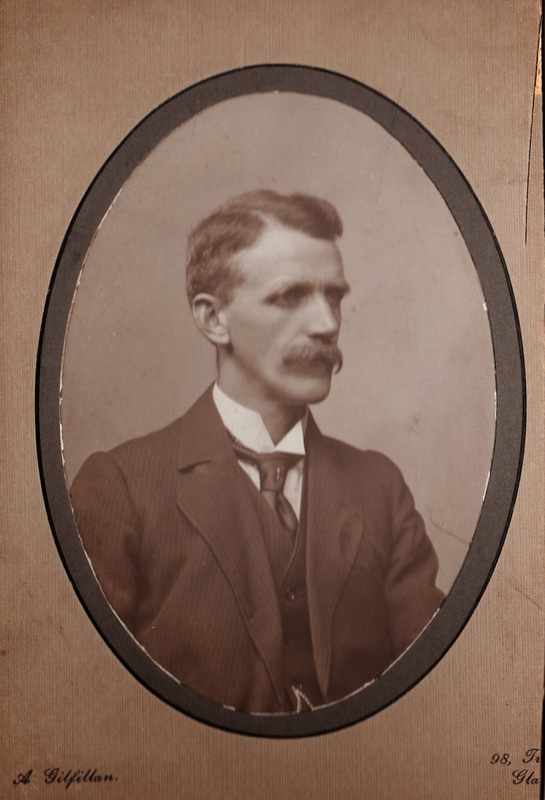 Between 1899 and 1902 he spoke regularly at the Kilmarnock branch of the ILP's outdoor meetings in opposition to the war. After the war ended he continued to be active in trade unionism and politics. He served as a local councillor in Kilmarnock from 1905 until 1924, when he was elected as the local MP for Kilmarnock. As an ILP councillor he was particularly interested in public health and housing and was convener of both these committees. It was during this time that Kilmarnock's first council house scheme, Middleton Park, was built. As an MP he was part of the first Labour government, a short lived minority Labour administration that introduced the 1924 Wheatley Housing Act. This act increased government subsidies for local authorities building housing for rent to low paid workers. A hundred years later and it seems that we are needing a government to propose these types of policies again. When he became president of the Scottish Trade Unions Congress (STUC), four months before the outbreak of World War I, Robert spoke in his presidential address on the need for the people to get control of Parliament and control of the army, in order to stop them being used against the workers. The war was soon affecting his family. His oldest sister Maggie, was left to bring up her four children alone after her husband, William Cairns, died in battle, in France in 1917. 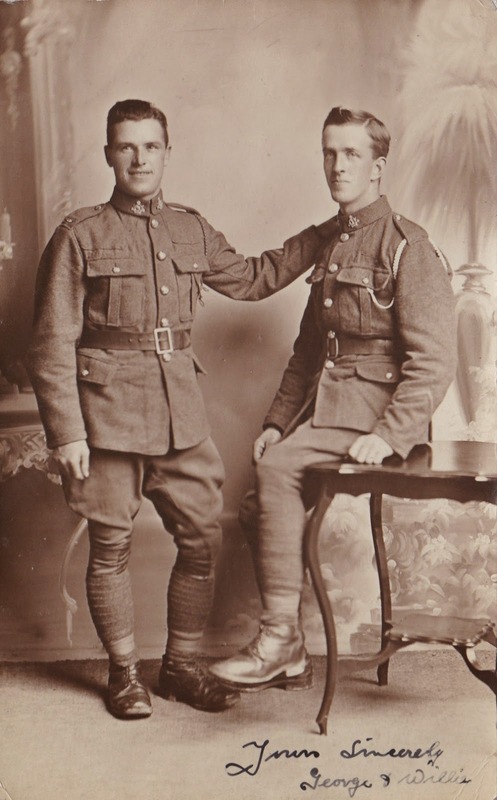 Two of Robert's older brothers, George and Willie Climie were career soldiers and had served in the King's Own Scottish Borderers at the end of the 19th century. Willie was a Lance Corporal stationed with the army in Cawnpore, India in February 1900, where one of his children was born. George Climie rejoined the army during World War I. Serving with the Royal Scots Fusiliers he landed at Gallipoli in June 1915 and took part in the evacuation from Helles seven months later. He was then in Egypt and his division were involved in the defence of the Suez Canal. He was killed in action in April 1917 in Palestine at the Second Battle of Gaza, and he is buried in the British Military Cemetery in Jerusalem. He was 44 years of age. By the outbreak of war three of the older brothers had already emigrated, to Australia, Canada and Alaska. The first to leave Scotland was James Climie. 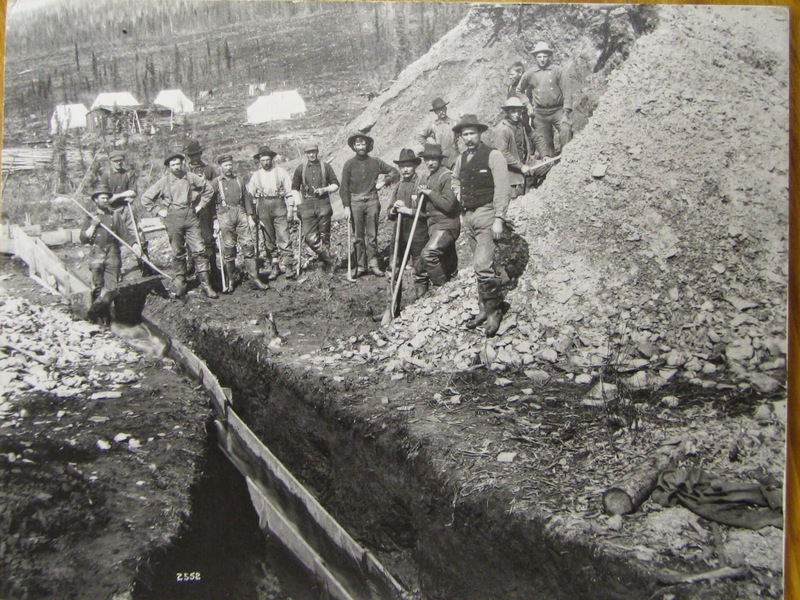 In 1898 he joined the Yukon gold rush, starting out at Dawson, before heading further west to Nome in Alaska. 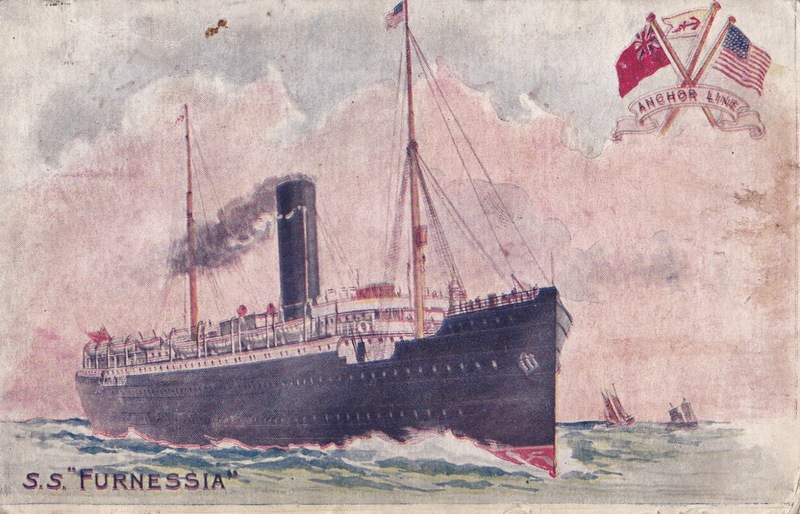 In 1906 he came home to Scotland for a while before heading back across the Atlantic on the SS Furnessia. His postcard which I have, above, to his younger brother Charlie reads "We are leaving the Irish coast now and we will soon have our last look ...of Bonnie Scotland. How sorry I was to leave you all today without me staying here to explain...Goodbye, your brother, Jim"
He was still digging for gold in 1908 when Agnes Fraser, whom he had known back in Scotland, came from South Africa to be his wife and they settled in Rampart, Alaska. For another 14 years they stayed in Rampart whilst he was engaged in placer mining, which meant sifting through the silt from the bottom of the riverbeds for gold dust. I have laid my hands on a nugget of gold which he sent home as a souvenir. It was made into a tie clip and my grandad's cousin owns it now. He seems to have been happily making a living at it for many years, without ever getting rich. 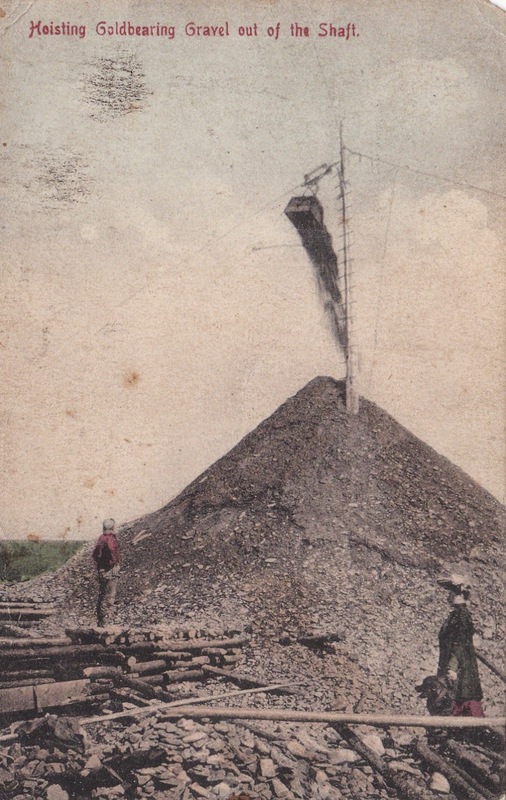 This post card on the left he sent to his brother Robert Climie in 1910 from Rampart, Alaska. It reads "This is the way they do things on a rich Claim. We have to be content with smaller ways., although none the less sure, Jim". By 1926 he had moved with his family to Anchorage in Alaska where he lived out his days. He was employed by the Alaska Railroad, starting as a labourer, he became a blacksmith's assistant and then, until his death in 1940, a carpenter with the railway company. Throughout his railway career he was active in the trade union, becoming president of the American Federation of Government Employees in Anchorage. His obituary in a local newspaper states that "his death took one of the leaders of the labor movement in Alaska....(he) was known from Fairbanks to Seward among railwaymen". Remembering the family photograph at the top at the Kilmarnock masonic lodge, his Alaskan obituary also notes that "he was a member of the Anchorage Igloo of the Pioneers of Alaska, the Alaska Yukon Pioneers and continued his membership of the St. Marnock Masonic Lodge number 109 in Scotland." Of the other emigré brothers Willie ended up in Australia, but about ten years after Jim first did it, Tom Climie headed across the Atlantic too. Tom was born in Kilmarnock in 1883. In June 1907 on his arrival in Philadelphia he sent his sister Kate the postcard above. He settled in western Canada, using skills he'd learned back home, working in the coal mines near Hosmer in British Columbia. The right hand card above reads "This photo is taken with one of our work cars. You must have seen this kind of wagon at home, Tom". Like his brother in Alaska he becomes involved in the local trade union. 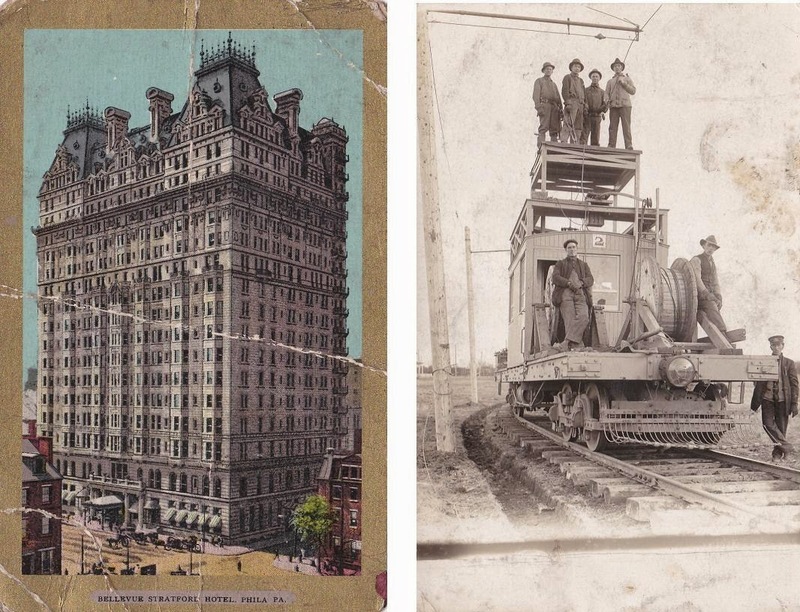 The British Columbia Historical Newspaper Archive website is a fantastic resource. 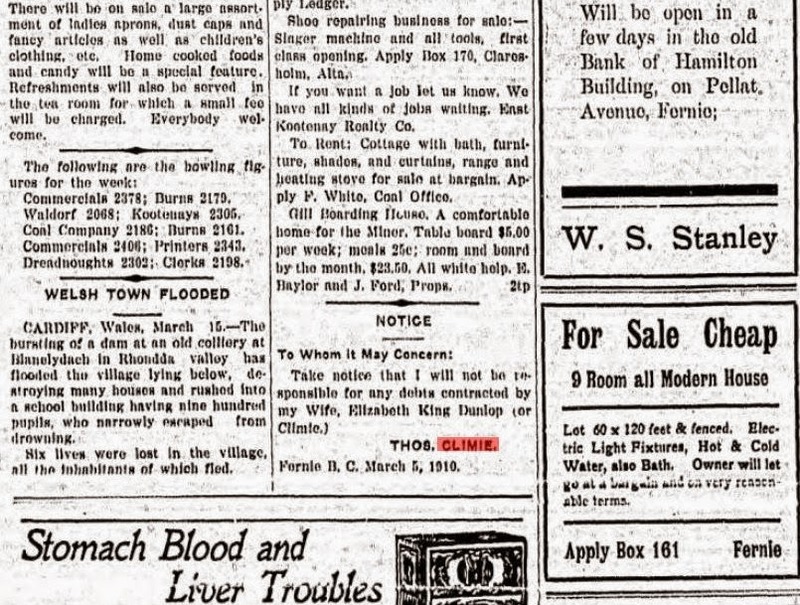 From browsing through these old newspapers I can see that "At a meeting of the Hosmer local union No. 2497 UMW of A (United Mine Workers of America) held last Saturday evening at the school house JA Tupper resigned his office of president and Thomas Climie was elected to fill the vacancy". Another newspaper report in 1910 documents deaths and injuries to local mine workers including "a digger named Thomas Climie had his right wrist badly cut with a piece of rock last Friday". From the papers I can find out that he was regularly singing at the local Presbyterian church and that his wife was running a laundry in nearby Moyie. However where his name comes up most often in the local newspapers is with him playing football (the term soccer doesn't seem to have made it into the local vocabulary by this time). Most reports are of matches between nearby towns. In one tale the trade union complains that the players from Hosmer got thrown off the train on their way to play a match in Coal Creek and had to walk the last 3 and a half miles to the game. The report complains that the miners had been on strike for 3 months and that nobody ever gets asked to pay for their ticket on their way to play football matches in Coal Creek. One edition of the District Ledger, a newspaper produced by the UMW of A, reports on a football match in July 1909. When Bellevue "could not raise the expenses to attend their league game" in Hosmer. A game was therefore arranged between "Scotland" and "England" with Thomas Climie playing for Scotland in front of a "fair turnout of spectators". The match report is quite entertaining so I have copied it here on the right in its entirety. Scotland ran out 7-2 victors over the old enemy and Climie scored four goals. At this time the beginnings of professional football was taking shape in Canada with soccer/association football following the lacrosse league by going professional. In 1910 the "British Columbia Professional Football League" was formed and on March 25, 1910, the first professional football match in Canada was played. According to the contemporary newspaper reports that I found this was between the "Rovers and Callies" although the newspapers don't give much more information than that. It was played at Recreation Park in Vancouver. These seemed to be the only professional teams in the league and it collapsed after one season. The "Callies" were The Calgary Caledonians, again showing the Scottish origins of much of the sport in the area. The Rovers are a harder mob to pin down. They later seemed to evolve into the Sapperton Rovers. The New Westminster neighbourhood of Vancouver was called "Sapperton" after the Sappers, or Royal Engineers. In the first two decades of the 1900s their team was called the "Westminster Rovers". By the 1920s it was a team called Sapperton AFC that was playing at Con Jones Park in this part of Vancouver. 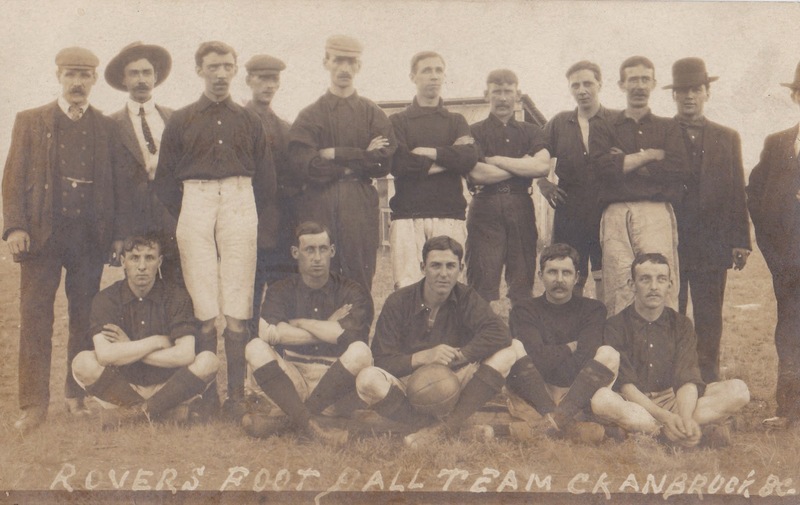 So back to my photograph from the early 1900s of a "Rovers Football Team" featuring a promising Scottish forward called Thomas Climie. Is this him playing for the Westminster Rovers, the team who played in Canada's first professional football game? I suspect not, this looks more like his local amateur team have a "Rovers" tagged onto their name? Maybe they called themselves Hosmer Rovers or Cranbrook Rovers but the full name hasn't made it into any of the newspaper reports that I found. Maybe someone reading this in Canada with an interest in local history could shed some light on this question for me. Whatever the truth I like to think that Tom Climie, third on the left in the long white shorts, who scored four times for his local Scotland team, had a chance of being a player in Canada's first professional league game. However in March 1910 the Climie family certainly had their minds on other matters. Thomas Climie took out a notice in three consecutive editions of the newspaper to state that "I will not be responsible for any debts contracted by my wife Elisabeth King Dunlop (or Climie)." A few years later he and his wife had left British Columbia and he was living in Edmonton, Alberta and working as a baker. On the 4th of April 1916, aged 32 years of age, he signed up to join the Canadian Expeditionary Force and was sent to Europe to fight. His Canadian army papers show that he left Halifax on the SS Olympic on the 14th of November 1916 and arrived in England a week later. 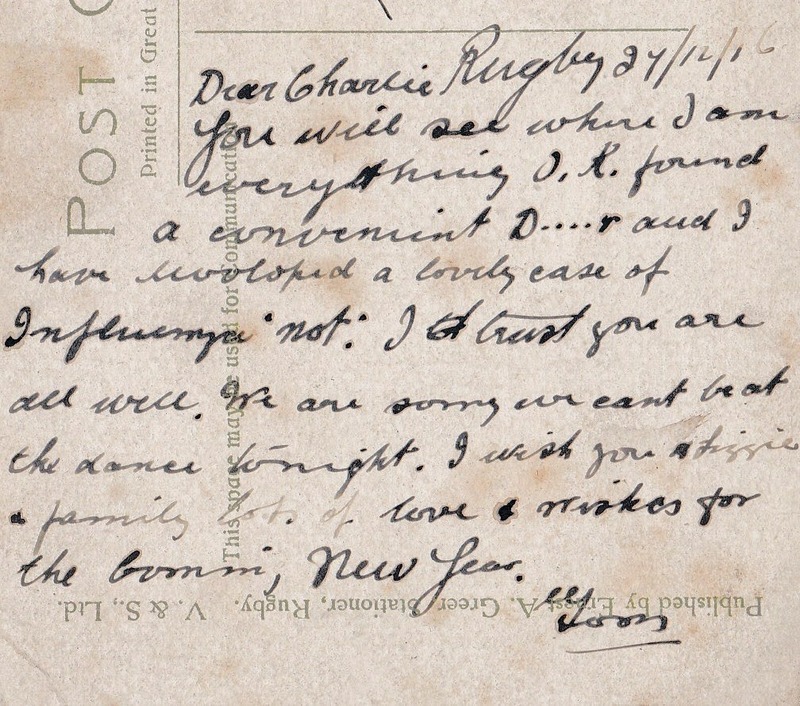 A month later, from Rugby in England Tom sends a cheery postcard back to my great-grandad, his brother Charlie in Kilmarnock, reporting that he has influenza. In Canada he leaves behind his wife and three children Robert, George and Annie Climie. Does this postcard have the first ironic use of the word "not" in inverted commas? "...and I have developed a lovely case of Influenza 'not'." In June 1917 he was wounded in action, a gunshot wound to his right ear, a close shave. The Canadian Expeditionary Force were involved in the Battle of Arras at this time. After 3 days at hospital he is returned to his unit. In the Third Battle of Ypres he is wounded again in August 1917 he spends 16 days in hospital and doesn't return to his unit until December 1917. On the 29th of December 1917 he is granted permission to marry and given 14 days leave on 26th January 1918, where this presumably happens. In July 1918 he is given 7 days detention for being in Boulogne without a pass. He is discharged from the army in April 1919 at the rank of corporal, with the "distinguishing feature" of a gun shot wound scar behind his right ear. He settles in Rugby with his new wife and lives there all his remaining days. Any help in finding out more about this early Canadian football team would be appreciated. And whilst you are at it, maybe you can help me with another old photograph of my grandfather's, in which I haven't been able to recognise ant familiar faces. 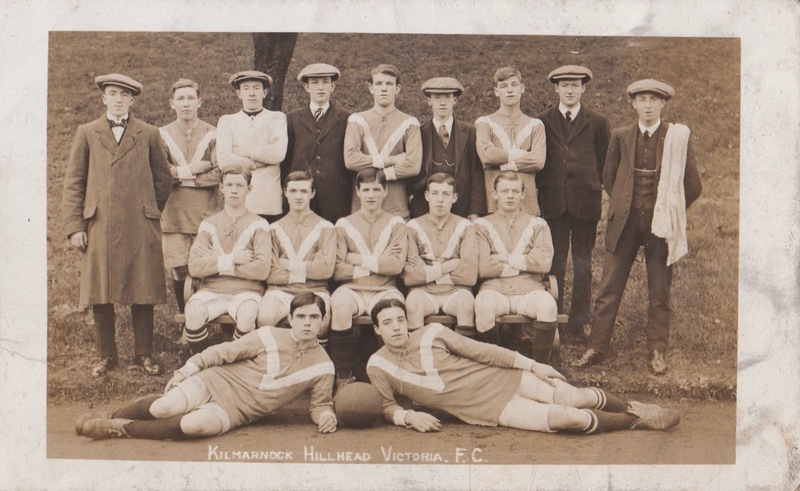 Who on earth were Kilmarnock Hillhead Victoria FC? You had enquired after Tom Climie and other family members of mine which I had written about above. Tom Climie and Agnes Murdoch Climie, as you can probably surmise from our unusual family name, were distantly related. They were third cousins. They shared a great-great grandfather, Andrew Climie, from Kilbarchan. 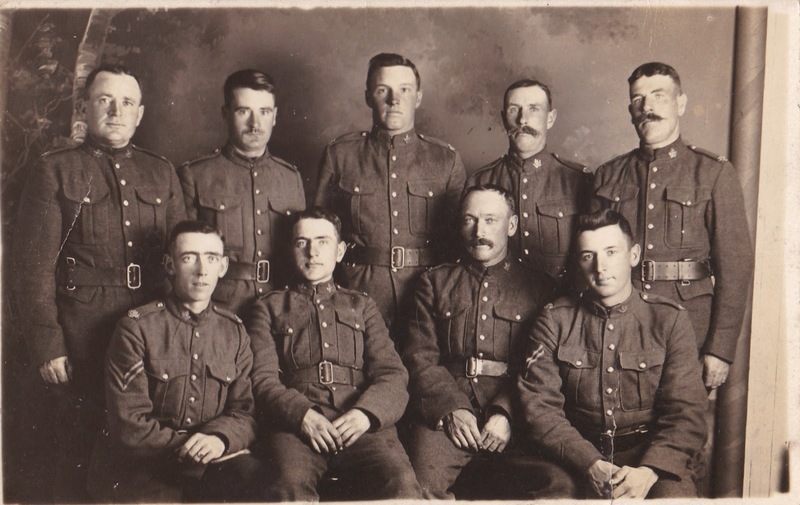 As I wrote on this blog, Thomas Climie fought with the Canadian Expeditionary force. His uncle George Climie fought in WW1 and died in Palestine in 1917. Another uncle, Willie Cairns, died in France in 1917. Meanwhile his brother Robert Climie (who later became the ILP MP for Kilmarnock in 1924) had a son, also called Robert Climie. He was jailed as a conscientious objector in Wakefield gaol in 1916 (see https://witness.theguardian.com/assignment/52751e38e4b01fc33230d4aa/1462944 ). Please feel free to use any of the stories or material I have gathered for your website, which I have often referred to.